The best foods for the keto diet are high in fat but low in protein and carbs. For most people, this means eating a lot of meat, fish, and avocado on the keto diet. However, there are plenty of vegetarian keto foods too – including nuts. Eating nuts on the keto diet is fairly controversial. On one hand, nuts are a great source of nutrients and healthy fats. However, certain types of nuts are also loaded with carbohydrates. You have to be really careful which nuts you consume on the keto diet or you could quickly go over your carb limit! When choosing nuts for the keto diet, look for ones with high fat. The fat content balances out the protein and carbs. We’ll list the best nuts for the keto diet here, along with some ideas about how to use nuts on the keto diet. Note that Brazil nuts contain a lot of selenium. Adults only need about 55mcg of selenium daily, and the upper limit is 400mcg. A single Brazil nut contains 68-91mcg of selenium, so you can quickly go over your upper limit. Symptoms include nausea, diarrhea, and bad breath. So eat Brazil nuts in moderation! Yes, coconuts are considered nuts. Coconut meat makes a great snack. You can also use coconut milk on the keto diet because it is so high in fat. You really have to be careful when eating nuts on the keto diet. Many nuts are loaded with carbohydrates. The high amount can prevent you from reaching ketosis. To help you remember which nuts to eat on the keto diet, you might want to make a cheat sheet with a list of the best and worst keto nuts. Even though nuts contain more carbs than animal-based keto foods like bacon, they should still be included in your keto diet. The pros of eating nuts on the keto diet far outweigh the cons, especially when considering long-term health benefits. Fatty acids are types of polyunsaturated fats (PUFAs). You have probably already heard of Omega 3, but fatty acids can be broken down further into ALAs, EPA, and DHA (to name just a few). Meat can provide many of the core nutrients you need on the keto diet, such as B vitamins and iron. However, it is still important to incorporate plant foods like nuts into your keto diet. Nuts (as well as other plant-based keto foods such as kale) contain high amounts of vitamin E, magnesium, potassium, and selenium (to name just a few). They are also great sources of phytonutrients that protect your body from inflammation and disease. There is a good reason why fiber isn’t included in net carbs for the keto diet. Fiber is not absorbed by the body. Rather, it passes through your body without being absorbed. In the digestive tract, fiber is used as food for gut bacteria. These bacteria are essential for keeping your gut flora balanced. We are only now starting to understand how important gut flora is, but benefits already range to every body part. 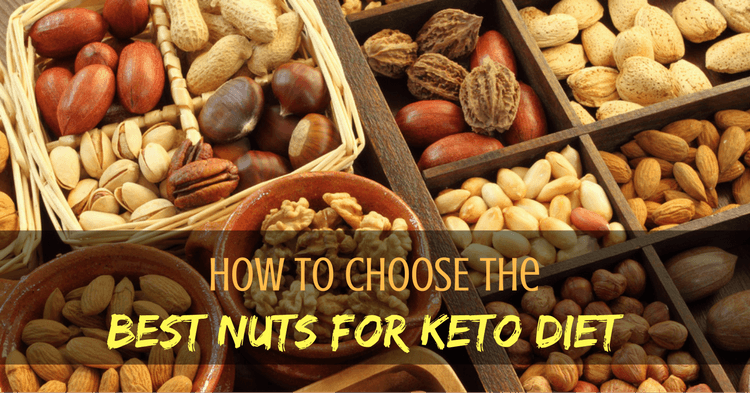 If you aren’t careful to choose only the best nuts for the keto diet, you could end up getting a lot of carbs. Make a best/worst keto nuts cheat sheet to take shopping with you so you don’t get the wrong types! While most of us prefer the taste of salted nuts, it is best to eat unsalted nuts on the keto diet. Aside from the issues with sodium overload, eating salt can cause us to overeat. If you can’t find unsalted nuts, wash them before eating to get some of the salt off. A serving size of nuts is usually 1 ounce. This isn’t much. For example, there are only 23 hazelnut pieces in an ounce. Because of the small portion size, it is really easy to overeat nuts – especially if they are salted. Prevent yourself from overeating nuts by only taking out a few at a time. Nuts make an easy keto snack for on the go. However, you can really get creative with how you use nuts on the keto diet. When put in a mill, for example, you can make nut flours for baking or breading food. 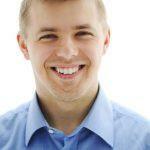 You can find great recipes using nuts instead of flour in the paleo-diet community, as they don’t eat grains. You can also easily use nuts as garnishes to your dishes. They add a nice crunch and texture to otherwise-bland meals. Don’t forget about ketogenic diet seeds! In many cases, seeds are better than nuts for the keto diet because they contain fewer carbs. The best seeds for the keto diet are sesame and flax. These seeds provide you with healthy fatty acids as well as many nutrients you need to fuel your body through weight loss.